H2R Design, the young dynamic design studio creating some of the most renowned commercial and hospitality spaces, completed the grand renovation of Egypt’s celebrated Alamein Hotel in June 2018. The design team remodeled the 1960’s Mediterranean beach hub’s interiors creating a serene escape injected with premium furnishings to elevate the hotel stay experience. A project that was full of challenges and complexities also proved to be one of H2R Design’s most rewarding assignments. The Alamein Hotel restoration project was spearheaded by Emaar Hospitality. 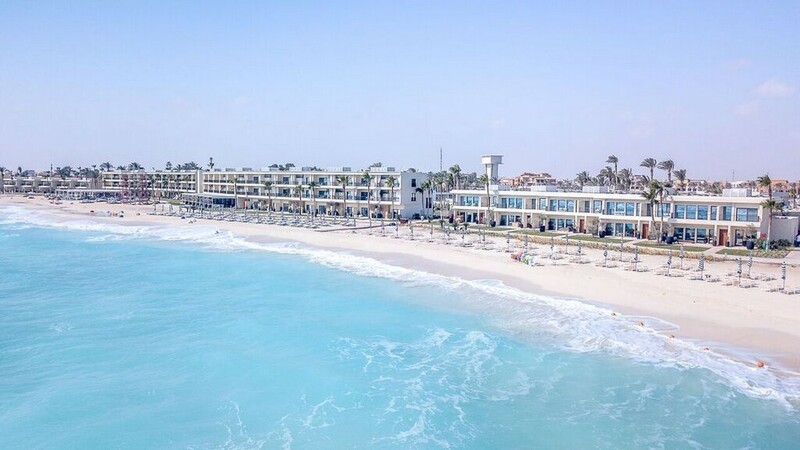 The resort and residences feature 190 rooms including luxury chalets, 7 suites and 2 presidential villas. 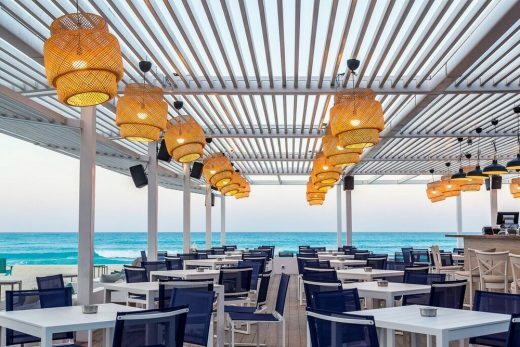 It is a pearl in the Egyptian northern coast seaside, and throughout its 50-year history, has been frequented by celebrities, artists and bohemians. H2R Design was insistent on keeping the cultural context and heritage in their design strategy, however they wanted to rejuvenate and create a modern boho-chic style while integrating the surrounding seaside environment into the nature of the property. 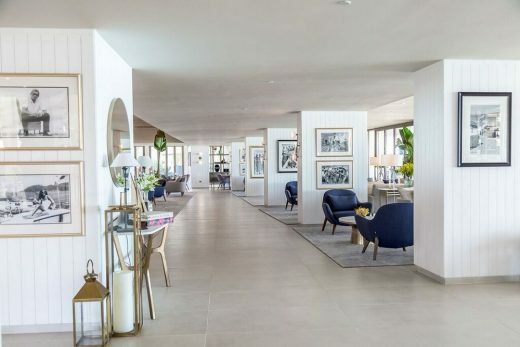 The design theme for the project was a Retro Refurbishment including contemporary interiors, which paid subtle tributes to the glory days of when the resort first opened. H2R Design combined vintage styles conjuring the sense of nostalgia to the golden age of Egyptian music and cinema and added references to the famous guests the hotel has hosted. 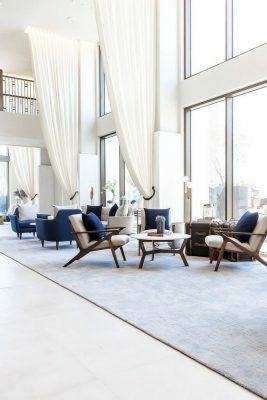 “Throughout the property we wanted to create a sense of refined classics and translate that through materiality, the furniture pieces, fixtures and equipment. We used clean lines layered with textures to bring a modern mid-century experience and comfort twist to the mesmerizing vistas,” the founders of H2R Design, Hasan Roomi and Husain Roomi explained. In order to successfully achieve a blend of vintage charm and contemporary elegance, H2R Design used a lot of natural white washed timber, light and breezy elements reflecting the coastal region, fabrics and upholstery suitable for the beach environment. 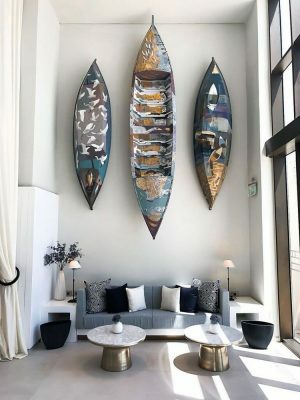 The colours were meticulously selected to compliment the natural landscape (muted blues, light greys, off whites and accents of deep blue to reflect the everchanging colour of the sea. 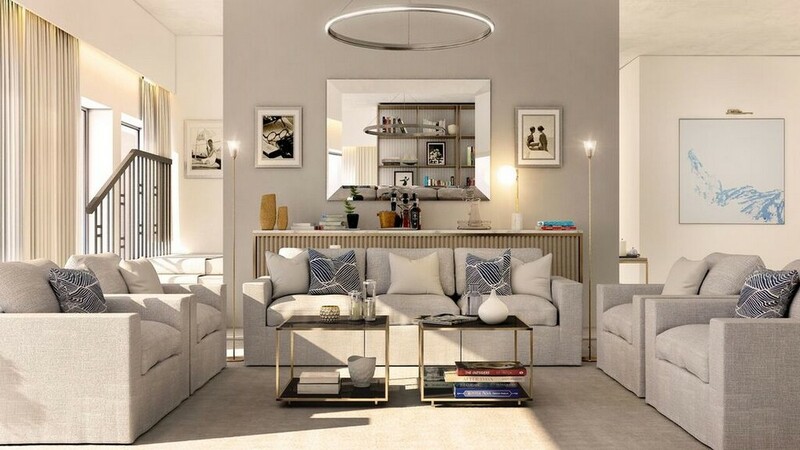 Metal was also used as an accent, adding elegance to the joinery, furniture elements and lighting, which played an integral role in illuminating the spaces. 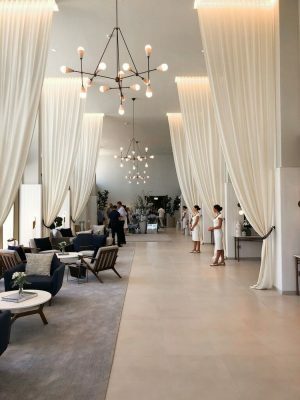 The Reception & Lobby: As the most prominent space in the hotel, H2R Design instilled the wow factor for returning guests to not only see the renovation but to actually feel the ambiance and experience within the first impression. 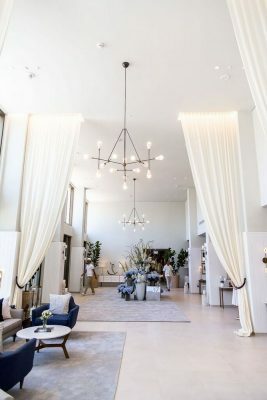 The prominent architectural features of the lobby include the welcoming central double volume lobby colonnade and atrium, made to help achieve the design focus of opening up the vistas and views. 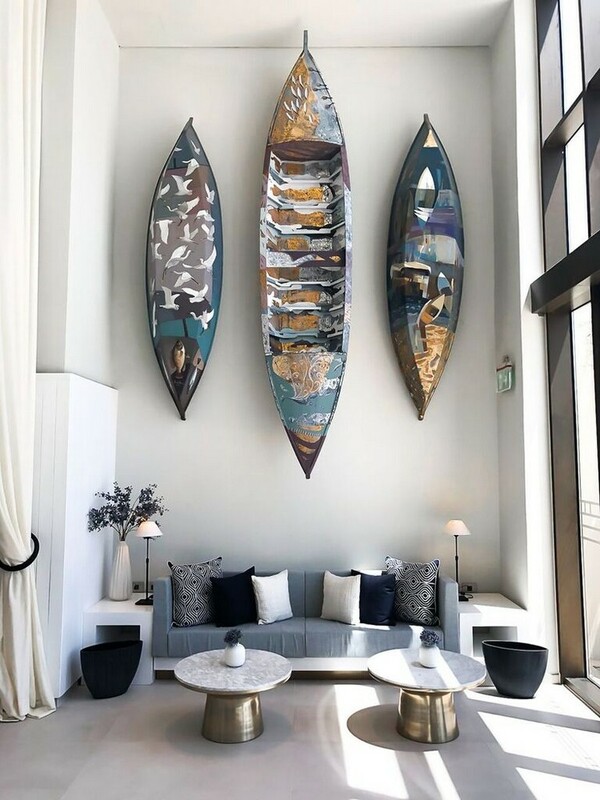 This feature opens the lobby out to the stunning views of the sea and brings the beauty of the surrounding nature to the inside. 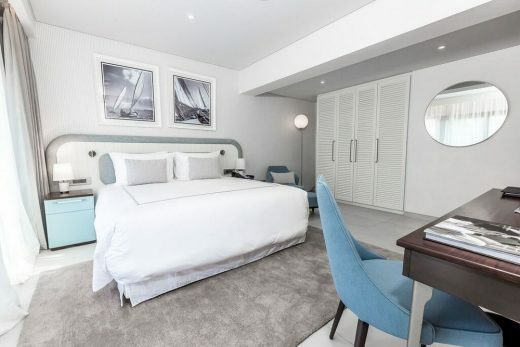 Rooms & Suites: The guestrooms were designed to truly show the heritage of the hotel, refined with a soothing color palette and furniture pieces to immerse the guests into tranquility. 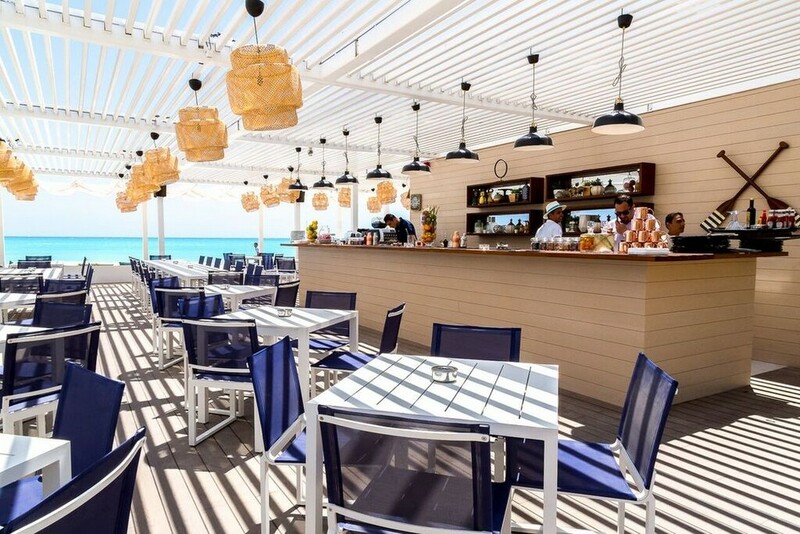 The redesign welcomes guests with a strong nostalgic feeling yet creates a new sense of awe for newcomers. “Alamein Hotels has been open since the 1960’s and throughout its existence has had a prestigious and loyal guest following. We intended to retain these guests and also revive their experience while encouraging a new generation of visitors. 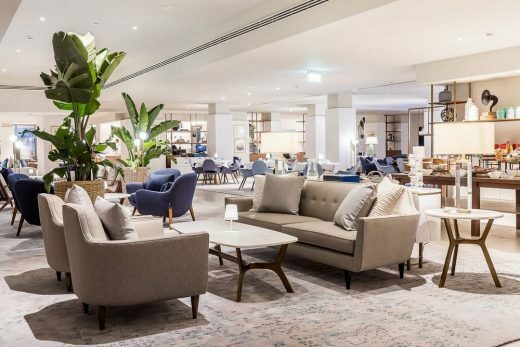 When transforming the hotel from the day to night scenarios, we focused on maintaining a welcoming and intimate ambiance, that would instantly make guests feel at ease,” Jacqui Shaddock, partner at H2R Design remarked. Special features were also shaped in the suites and villas, embracing a home away from home feeling. Each room was also designed to capture the outside and seamlessly balance it with the interiors. The renovation was also met with some challenges for the team, such as the resort being fully occupied when the work began. Given the antiquity of the build, accurate drawings of the site were not available and records of the many ad-hoc architectural changes were no longer available. The structure was unclear until a demolition commenced, and the H2R Design team had to constantly adapt the design (almost daily) to suit new the discoveries on the site. As promoters of sustainability, H2R Design hired local contractors, manufacturers and suppliers to reduce carbon footprint. 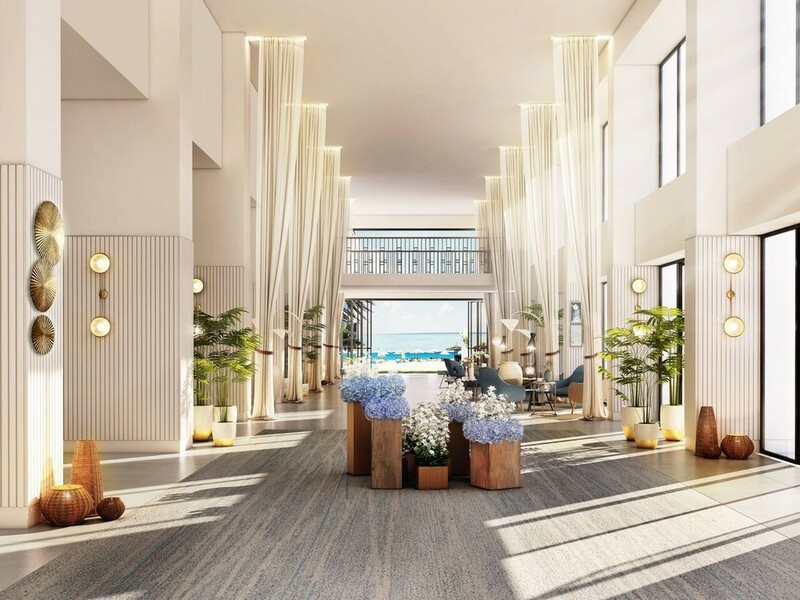 The team took care of all the technical details while working closely with the project architects, hotel operations managers, and all of the subcontractors, making sure all local standards were implemented and to deliver the project cohesively. The Alamein Hotel restoration is a project that H2R Design is particularly delighted with as it gave them the chance to create a new jewel on Egypt’s northern coast.